On this December 5th morning and early afternoon, one in which a man who served this nation so honorably over the decades is being remembered, some regulatory notes that I have put together from the last few days. 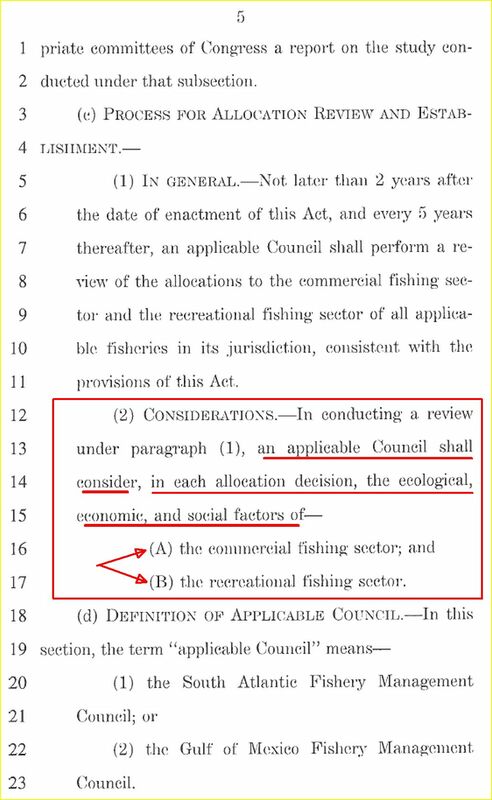 In the 'Good Kings English,' this is a terrible bill for the for-hire (yes that includes those who fish upon party & charter boats) and the commercial fishing industry for a host of reasons that we at the NY RFHFA have pointed out over the past year. Due to the current legislative extension for the outgoing 115th Congress, supposedly dead on arrival bills such as S1520, somehow come back to life and mysteriously - somehow are just slipped into much larger, more notable and "must pass" comprehensive legislation. 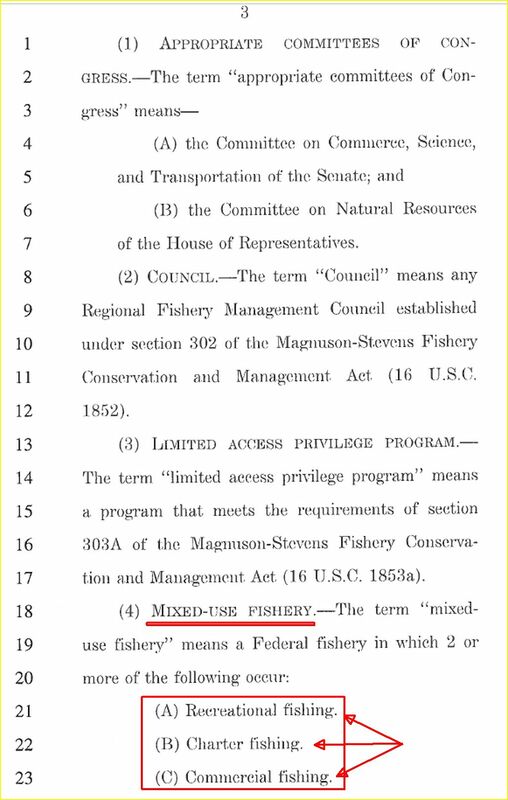 Needless to say, a surprising number of fishing groups who typically are on polar opposite ends on regulatory issues, are pleading to their minions by notifying their senators to make sure this amendment ends up in the congressional paper shredder by the end of this year. I should note an opinion piece written a few weeks ago along with one comment written in the HILL (which has being going down-hill in my humble opinion) which should give you an idea on why "certain extremely well funded groups" are still lobbying in the senate for this to pass. "Its conservative speak for turning fishing into a rich person's playground. With $90,000 boats, and a million dollar prize for salt water fishing competition. This is about gaming the recreational fishing industry, not about fishing for game. It will cost you ten times as much to go fishing, as it would to go to a store and buy fish." News item #2.... NY FFL holders and an allocation cut on BSB for the 2019 calendar year? One of the below the regulatory - radar news items that came from the NY quota distribution meeting was what was being told to the 34 fishermen who showed up at the DEC Bunker, and that was on the reduction of available poundage on BSB for permit holders in 2019. Of course the questions from a dismayed audience on "how could this happen again to a fishery that essentially has a 50 lb trip limit," and the answer was about the "continued high amount of regulatory discards......" incredible but yes this was the answer. In the bizarre fishery mis-management world, regulators not only continue to penalize commercial fishermen for obeying the law, but worse, senselessly have them shoveling overboard perfectly fine eating fish. "When overages are caused by discards (for the above listed species). 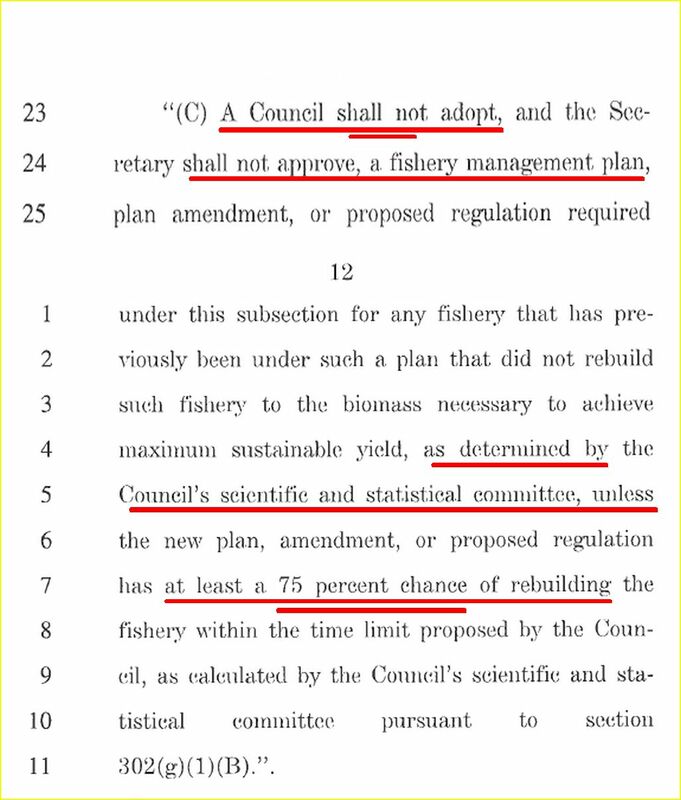 As a result of these proposed measures, automatic pound-for-pound paybacks due to annual catch limit overages resulting from higher-than-expected discard estimates >>>> would not be required in all situations, depending on the level of the overage and the status of the stock <<<<. We will see how this works it's way to being approved, but it did make me wonder when fishermen who do attend meetings where they routinely rant and complain, then go into stealth mode when it comes time for a written public comment. Just pointing this out as it was pointed out to me. Question: Does anyone know why the Bigelow is the quietest survey ship in the world? During leg 3, "While sampling there, crew members discovered a small hole in the aft part of the vessel through which draining seawater was being retained in a watertight space. The ship returned to Newport, RI on October 19 to address the issue. The repair was done quickly but continued high winds, short-term staffing issues, and replacement of a required back-up electrical system consumed the remainder of sea days available for Leg 3. In all, 7 sea days were lost." I just have to ask what they onboard the Bigelow would consider a "small hole" that would quickly take a 210 foot vessel out of service.....just asking. Since August of 2017, the Bigelow, a ship constructed less than 15 years ago, has had a rap sheet of numerous documented vessel and survey related issues which continue until this very day. Built with various mechanical and electrical parts manufactured from around the world, many have asked "why," as this has also contributed to its downtime, and that it seems can be expected to haunt the NEFSC mothership as long as this vessel remains in 'front line' service. "The number of stations in the Georges Bank and Gulf of Maine survey areas will be similar to past years. Fewer data will be collected at each station because Pisces has less fish handling capacity than the Bigelow. However, samples critical for stock assessments will be collected, including lengths, weights, and hard parts used for aging fish (usually scales and ear bones). Two other NEFSC research cruises planned for this fall were also delayed by the Bigelow repair, and will be conducted on other ships." One also has to ask if this would be allowed to happen, or more succinctly, continue if this was done by some corporation in the private sector as higher standards of accountability - especially if it was a publicly traded company, has to be maintained. The reliance of biological and biomass data from these surveys is one of the very reasons that we hear from those involved both in advisory roles and within the fishing industry that NOAA and in this case with the NEFSC - has been created and then put into place such a complex process that it is clearly overwhelming both the science and then regulatory functions of the various regional councils. Year by year management of economically important species have become more convoluted and we can easily point out the ever worsening issue with the self-created regulatory discards by fishery management harmful to the various fish stocks along with creating the ever growing negative economic impact to both the fishing industry and coastal communities that rely upon the activities associated with the various facets of fishing. Much more can be stated here, but when you hear at the various state and federal meetings on how hard those in fishery management are working these days, just maybe they should consider how hard those who are sitting on the other side of the regulatory table are working and trying to making a living from the fishing business. "The SSC is constrained by the Council's risk policy. I wish the Council would change their risk policy so the SSC would be able to increase the Black Sea Bass Quota. The problem is the Risk Policy, not the SSC." To that end, I would like to suggest that the Council look at some form of a “sliding scale risk policy,” one that would account for stocks at say less than 100% of target, those reaching 100% of target, then 1.5X target, and those equal to or greater than 200% of target. Doing this would go a long way towards ending artificial overages relative to the RHL and show good faith to stake- holders in that those who have sacrificed to rebuild a stock can see the benefits of that sacrifice. I understand for many fishermen, this comes across as regulatory-speak, but I will inform everyone that this is critical in order to bring some regulatory relief in the management of BSB..